Black-ish Stars Pay Homage to Natural Hair in the Cutest Way! Yesterday, Black-ish stars Tracee Ellis Ross, Yara Shahidi, and Marsai Martin paid homage to natural hair in a cute way! The TV mother and daughter naturalistas made two video clips on social media standing side-by-side and shaking their strands. Tracee Ellis Ross captioned the video as "TEXTURE." Yara Shahidi said, "Out here flourishing with my fam." Marsai Martin, who plays "Diane" on Black-ish said,"Melanin and hair both poppin." Love it! Back in 2015, the trio was featured in Essence Magazine highlighting their natural hair. 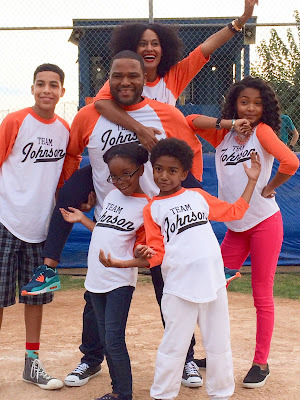 Season 4 of Black-ish premieres October 3rd at 9/8 central. What do you think of their natural hair videos? Breaking Down the Emotional Half-fro on "Black-ish"